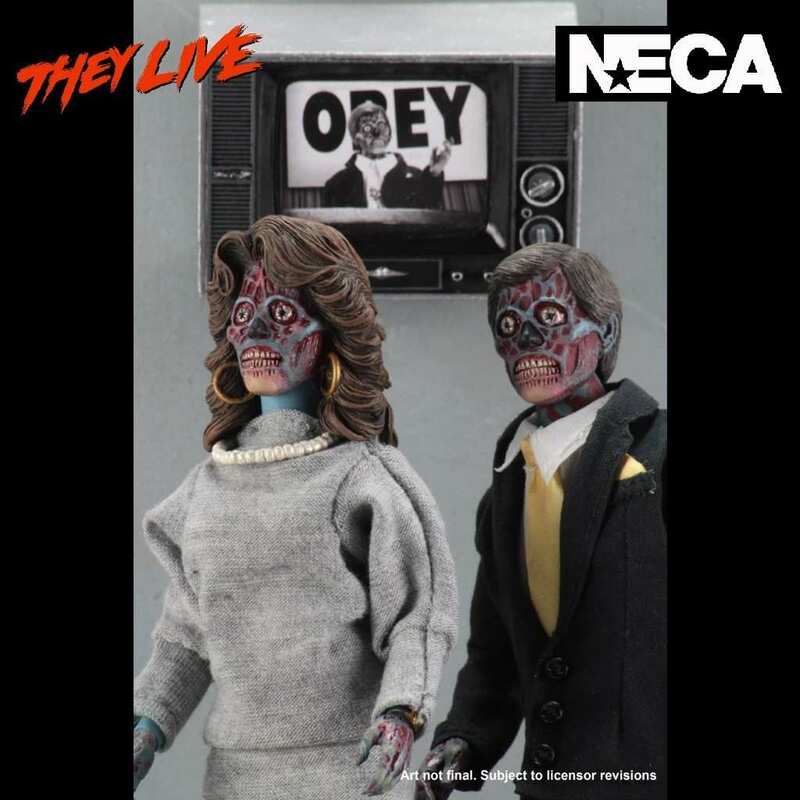 From the 1988 film They Live, we present this long awaited action figures 2 pack from NECA. 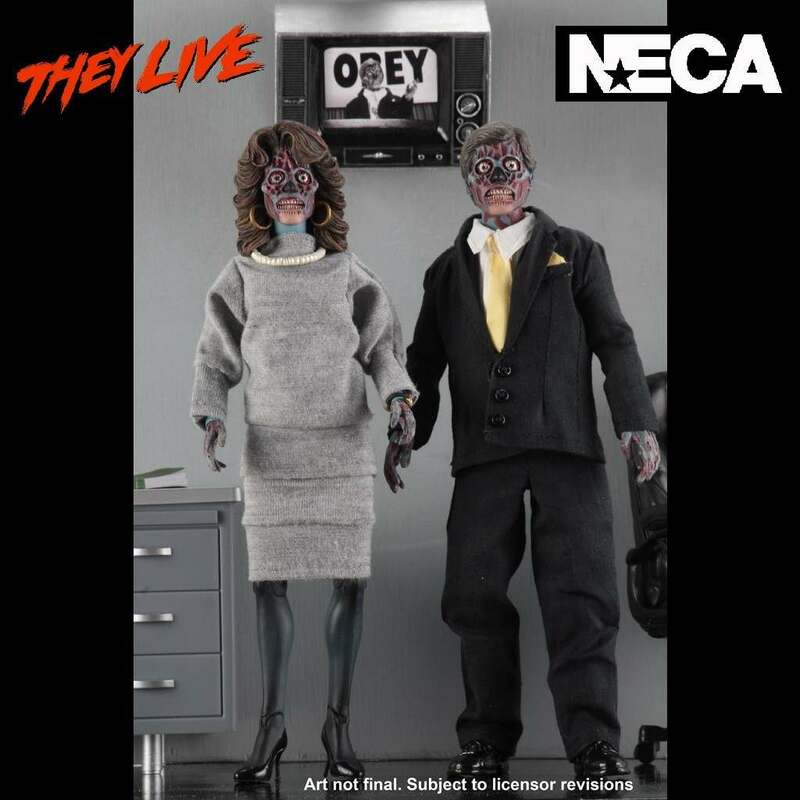 NECA introduces this 2 pack featuring two clothed Aliens from the movie They Live, the truly underated 1988 science fiction film written and directed by John Carpenter that starred Roddy Piper, Keith David and Meg Foster. 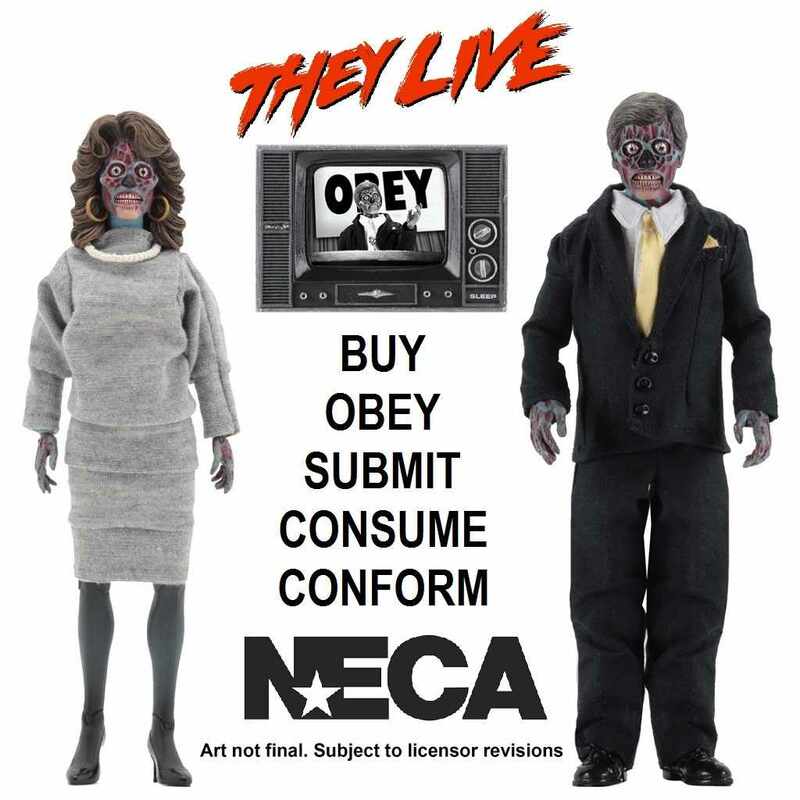 They Live is about Nada played by Roddy Piper, and he's a wanderer that soon discovers speical glasses that enable humans to see the world in a different way and realises that Aliens roam the world unnoticed so he fights to free humanity. 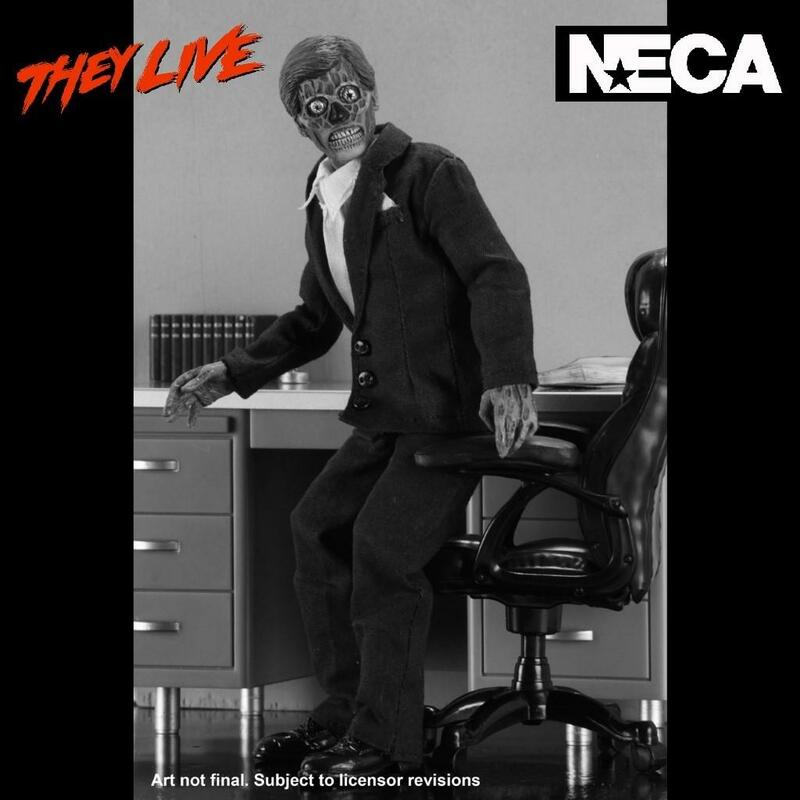 This is the first time ever that these Aliens have been created as action figures and you can see them as they really are because they looked like humans unless you had the aid of special technical glasses. 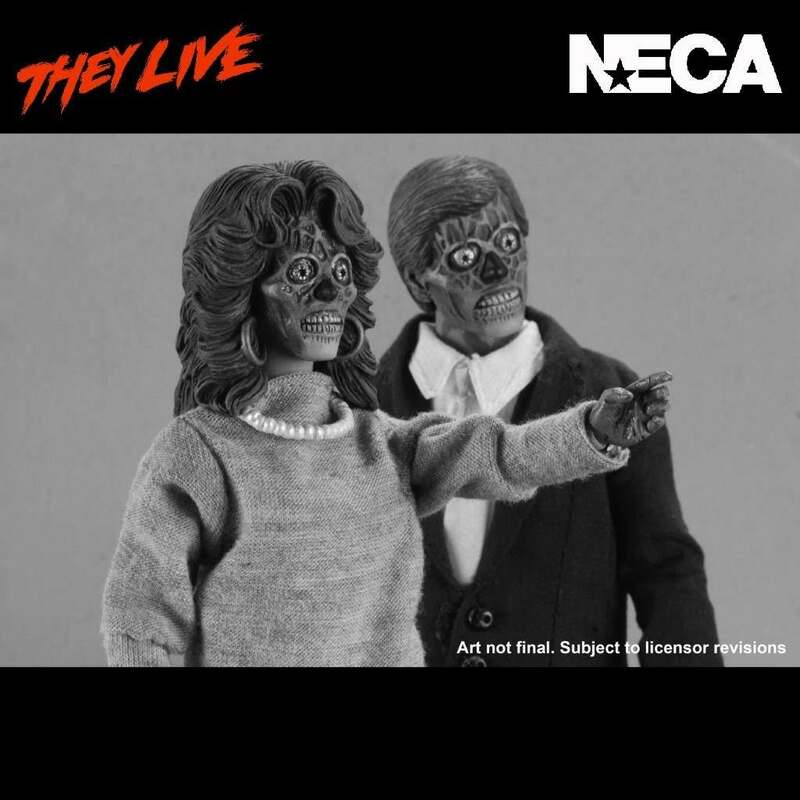 The set features a male and female Alien and they both come with wristwatches which enabled them to transport to a secret command center and there's also television, newspaper, magazine and necklace accessories. Comes packed in a window box. Don't miss this chance to own these long awaited collectible figures!